Sure Foot Foot Rubz Roller Massager FRM2: Foot Rubz Massager's unusual design combines ancient Asian acupressure techniques and modern design to provide relief from common foot pain and ailments like plantar fasciitis and heel spurs. The unique contours stretch soft tissue muscle and fascia to relax foot muscles and stimulate circulation. Size: 5.75-inch x 2.25. 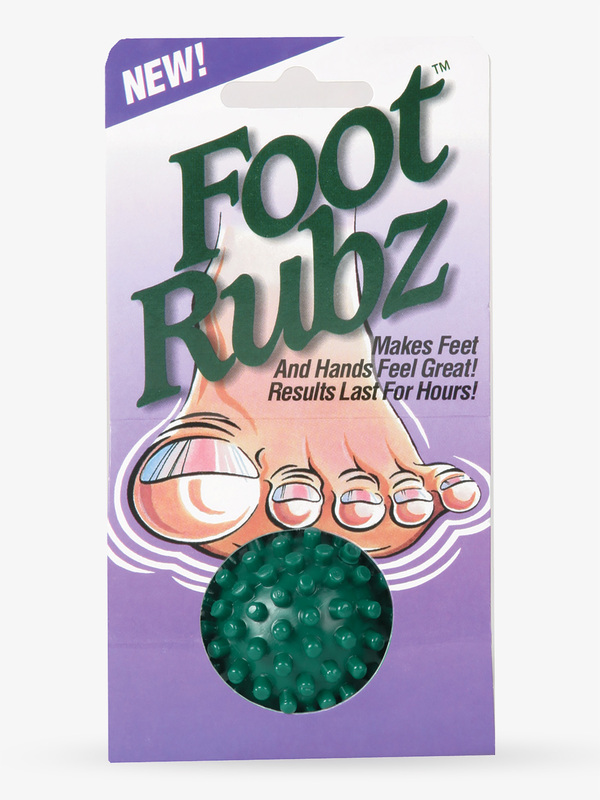 Sure Foot Foot Rubz Massager FRM1: Sooth tired feet and sore muscles anywhere with the Foot Rubz rubber massage ball! Modeled after Asian Acupressure, simply apply pressure to problem areas, providing instant relief! Size: 6-inch circumference. Many more dancer foot care products on sale at Discount Dance Supply.